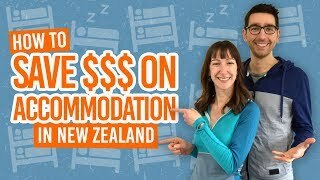 Enjoy Whanganui on A budget! Sometimes people forget that Whanganui is on the coast with the magnificent Whanganui River passing through it. Whanganui is a significant settlement in New Zealand’s history which is still evident in the grand buildings you see around the city today. Of course, you can wonder the city for a free backpacker activity, but with such variety of landscapes from mountains to sea, there are a lot of free things to do in Whanganui. Within the city, visit the towers that are part of the city skyline, one of which you can climb for free, or find hidden tunnels where you can have more fun than what is acceptable for just being in a tunnel! The city lakes and gardens also offer something special in Whanganui, having you stalking fascinating birdlife all day. 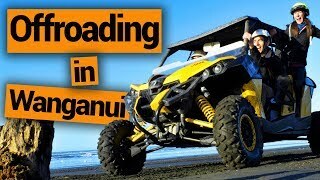 Then, when you have cycled everywhere, followed the Whanganui River and watched some glassblowing demonstrations, you’ll probably find yourself on driftwood lined beaches making your own sculptures or just having a stroll. 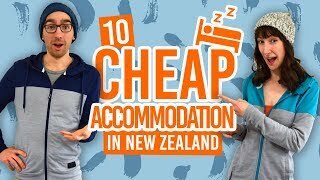 By the way, if you need a cheap place to stay, check out the 5 Best Backpacker Hostels in Whanganui. Statues, foot bridges, native and exotic trees, walks, water fountains, an aviary, winter gardens and hundreds of birds! 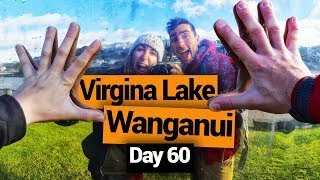 Virginia Lake/Rotokawau has enough to keep you entertained for a while. Choose from multiple walks around the lake and watch out for the pukeko, ducks, geese, swans, tui and more along the way! Learn more about New Zealand wildlife at 10 Things You Did Not Know About New Zealand Wildlife. Location: Just a 5-minute drive from Wanganui city centre just off State Highway 3 towards New Plymouth. This free-entry museum is full of fascinating relic from Whanganui’s past, both Maori and European. See giant waka (canoes) and a mock-up of what the streets of Whanganui used to look like hundreds of years ago. Location: Watt Street, just off Victoria Avenue. Art is a big thing in Whanganui, but more significantly, glass blowing! Watch the glass blowers operating at the hot kilns at the Chronicle Glass Studio. Get the best panoramic views of Whanganui, the Whanganui River and even to the central North Island volcanoes from the top of the Durie Hill Memorial Tower. Entry is free, just climb the spiral staircase all the way to the top! A great time to go is during sunset when the city lights come on. Just walking through this tunnel deserves its own point on this list of free things to do in Whanganui. The straight and white 213m tunnel gives a surreal feeling when walking through. You may find that you can’t resist shouting for the echoes! Location: Just across the City Bridge from Victoria Avenue. Visit the rural side of Whanganui at the Westmere Lake. Get amongst the livestock, mud, manure (all of which only occurs sometimes) and enjoy the tranquility of these scenic lake. Walks includes the Restawhile Lookout (40 minutes return), Top Flats and Jeanie Lynas Reid Reserve (2 hours return), Matipo Park Lower Route (1 hour return), and Matipo Park via Top Flats (2 hours return). Location: Enter from Kelvin Street or Brunswick Road. Westmere Lake is about a 10-minute drive on State Highway 3 north from Wanganui City Centre. Another captivating tower in Whanganui, the Bastia Hill Water Tower is a sight you’ll want to view from the outside. Walk up to the tower and enjoy the cities views on the way down. Location: Take Mount View Road then follow Bastia Avenue. Often described as the most scenic beach in Whanganui, Kai Iwi Beach is not to be missed. Enjoy the beautiful black sands and the view of the rugged coastal cliffs. At low tide, you can even walk to the neighbouring Castlecliff Beach. For more awesome beaches, see 10 Unique Beaches in New Zealand. Location: 14km west of Wanganui at the end of Rapanui Road. This is a popular cycle route in Whanganui city following the Whanganui River. Either hire a bike from the few bike hire options in the city or some hostels have free bike hire. The journey will take you along Anzac Parade, Somme Parade, Putiki Drive and Taupo Quay. Location: Anzac Parade, Somme Parade, Putiki Drive and Taupo Quay. Follow the famous Whanganui River upstream along the Whanganui River Road. The trip offers fossils, history, awesome views, lookouts, maraes, a waterfall and entrance to the Whanganui National Park. See Wanganui – Guide for Backpackers for more details. Location: The Whanganui River Road is just off State Highway 4 as you leave Upokongaro. That’s right, we often have some amazing deals on activities in Whanganui for under NZ$20! Take a look at our exclusive Whanganui deals over on the BackpackerGuide.NZ DEALS tab. … How about checking these out?